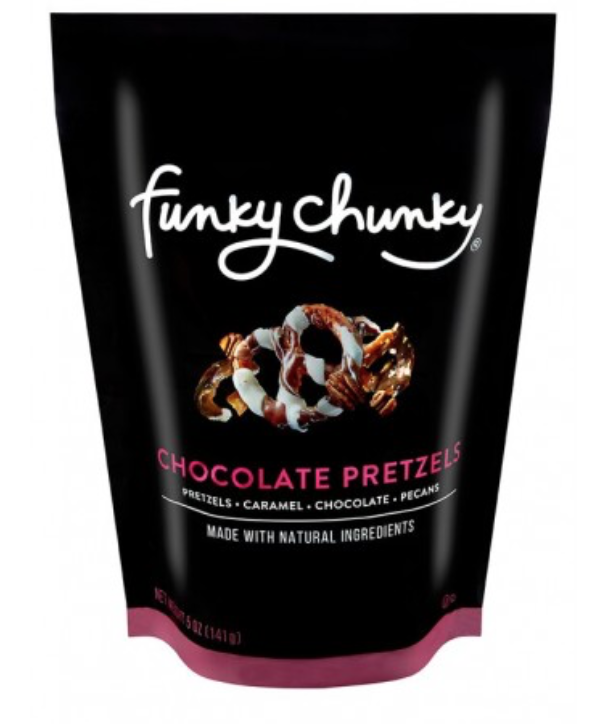 Funky Chunky has an awesome line of gourmet popcorn, that can be delivered straight to your door. Funky Chunky has 9 different flavors and can be purchased in many different sizes. They have some great unique flavors; Sea Salt Caramel Popcorn, Peanut Butter Cup Popcorn, Chocolate Pretzels, Chocolate Popcorn, Chip-Zel Pop Popcorn, Caramel Corn, Pumpkin Cream Cheese, Peppermint Bark Popcorn, and Sweetheart Mix. These flavors are all super great, and it is hard to pick our favorite, we love so many of them! You can check out all their different treats HERE.